Description: This 6 inch musical glitterdome features a pair of cardinals inside and the beautiful sculpted base. A perfect addition to any holiday home decor. 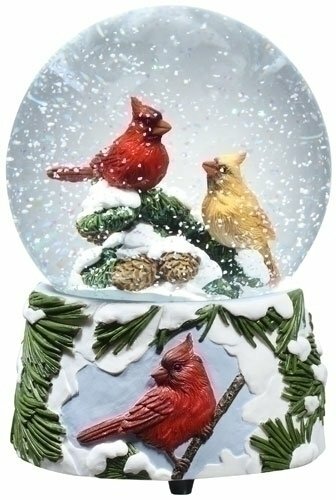 This 6 inch musical glitterdome features a pair of cardinals inside and the beautiful sculpted base. A perfect addition to any holiday home decor.